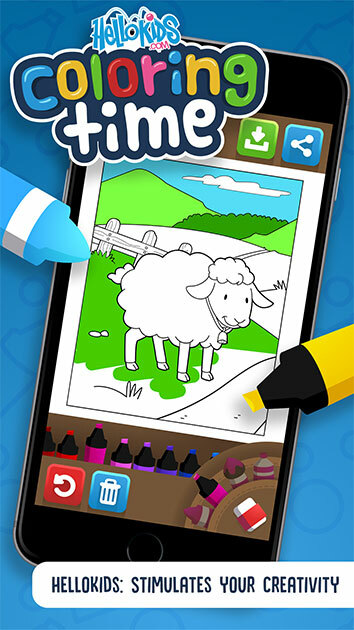 Hellokids Coloring Time Animals is a fun coloring book for kids without ads and beautifully designed coloring pages that really stimulates kids creativity. 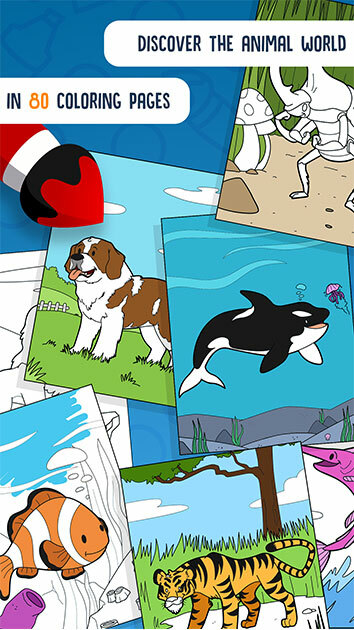 They discover the world of animals in a fun and playful way. And they proudly show every coloring creation in their own gallery. 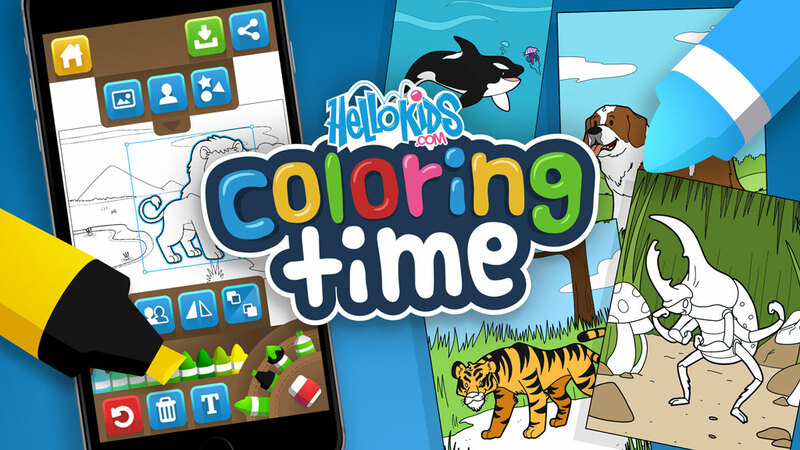 This app turns your mobile device into a wonderful coloring book for kids. We have carefully selected over 80 animals in seven animals themes. You will find here from horse coloring pages to dolphin coloring designs and from cat coloring pages to butterfly coloring pages. 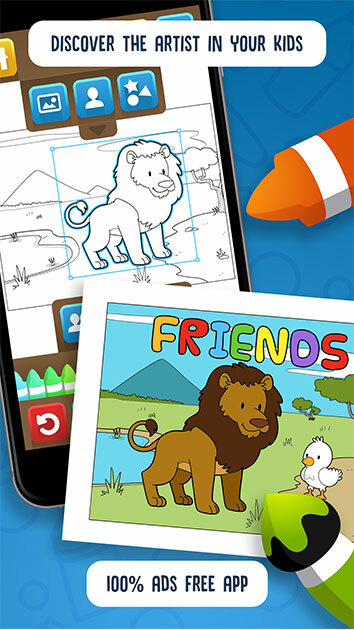 And thanks to the unique “create your own drawing” tool, your kids can make their own farm or wild savannah coloring page. 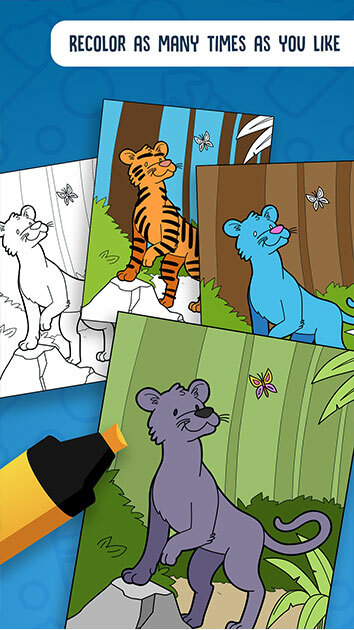 With this free coloring app your child can use its imagination and creativity to explore the most amazing animal kingdom inside the coloring book for boys and girls. 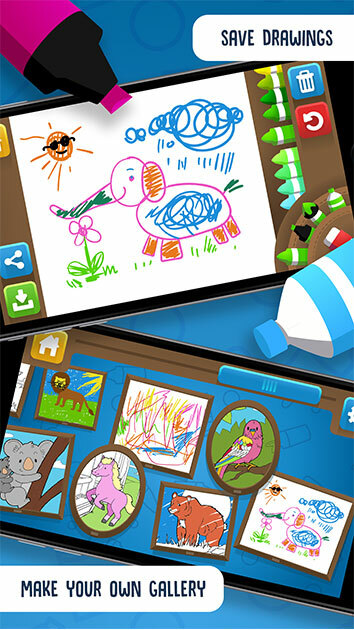 We have prepared great designs for your kids where they can color free, colour within the lines or automatically fill.